Our area's Top Rated & Most Trusted Generator Installer & Generator Service Dealer! Sign up for tips, tricks, discounts, trade secrets and other cool stuff! Finding a Reliable and Trustworthy Generator Dealer in Rochester, NY & the Finger Lakes can be tough. 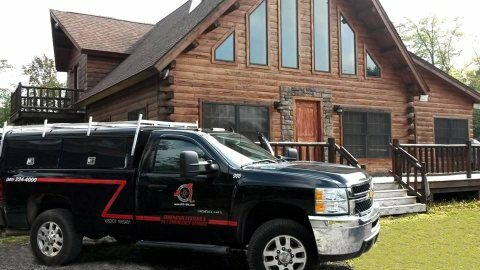 Residential, Commercial & Industrial Generator Sales, Generator Service & Generator Installation in Rochester NY and the Finger Lakes is our sole business. We operate a Full-Service Warranty and Repair Fleet servicing all major brands. Cummins, Cat, Generac, Guardian, Briggs & Stratton, General Electric, Kohler, Detroit and many others ...but why use us? If you already have a generator, or you're considering a new installation, Contact Us now for a free on-site evaluation. If you were unhappy with your sales or service from another Generator Dealer claiming to be "the biggest and the best", or the "most dynamic”, we're here to help. We're always glad to help you sort through the nonsense by reviewing your situation with your best interests in mind - not the salesman's. Best Value, Best Service, Best Support. Satisfaction Guaranteed, it’s just that simple. You understand the importance of safety, security & peace of mind. Why not refer a friend to us and get $50.00!